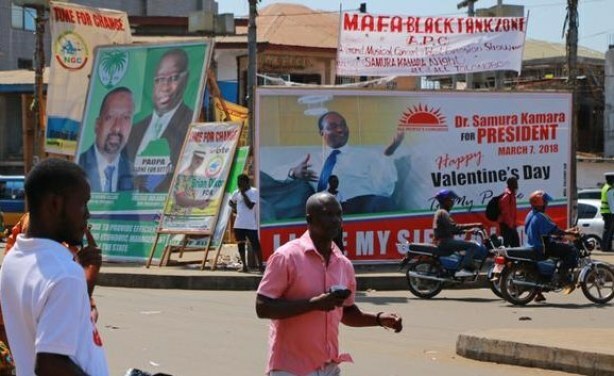 The two leading candidates - Samura Kamara of the ruling All People's Congress and Julius Maada Bio of the Sierra Leone People's Party - are in a virtual dead heat, just as they were at the end of the first round of voting earlier this month. 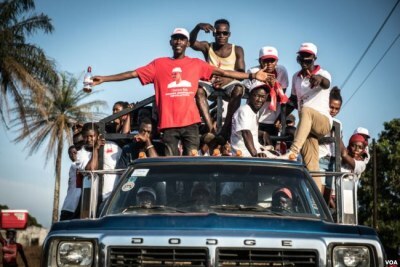 This comes after the National Electoral Commission announced a new date for run-off after Bio won by just 15,000 votes way below the mandatory 55% required for victory, in a country with 3.1 million eligible voters. 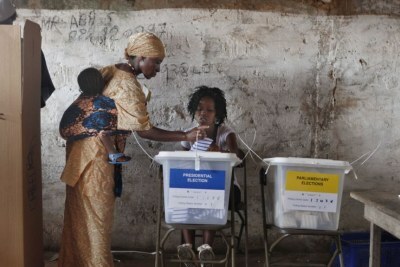 Sierra Leoneans go to the polls again for the presidential run-off. 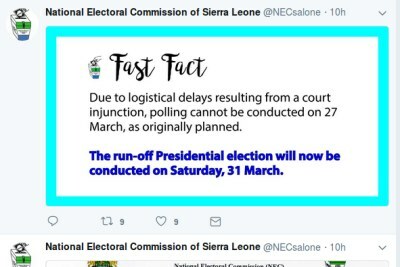 Sierra Leone: Run-Off Election for March 31 - Sawyer Urges Voters to "Get It Right"
Sierra Leone: Why APC Party Is the Next Main Opposition in Sierra Leone?